Nicolas Asfouri – Pool/Getty ImagesCrown Prince Mohammed bin Salman is deeply embroiled in the crisis over missing journalist Jamal Khashoggi. 1. US President Donald Trump threatened “severe punishment” over the disappearance of Saudi critic and journalist Jamal Khashoggi. The Saudi stock market dropped as much as 7% following the president’s statements. 2. Saudi Arabia threatened to retaliate against US “threats” of sanctions. Saudi officials have asserted without proof that Khashoggi left the embassy on October 2, but Turkish officials believe he may have been murdered by Saudi agents. 3. Europe’s highest court is set to decide whether Britain has the power to unilaterally halt Brexit.The case will test whether Britain’s withdrawal from the EU can be withdrawn by the UK prime minister. 4. China appears to have laid out how it wants Google to help it persecute its Muslim minority. Regional authorities in China passed new laws on how to crack down on its Uighur ethnic minority, which includes heavy surveillance, policing, and censorship from tech companies. 5. South Korean President Moon Jae In said North Korean leader Kim Jong Un is “sincere” in his efforts to denuclearize the Korean Peninsula. He urged the international community to reward him for his efforts so far. 6. 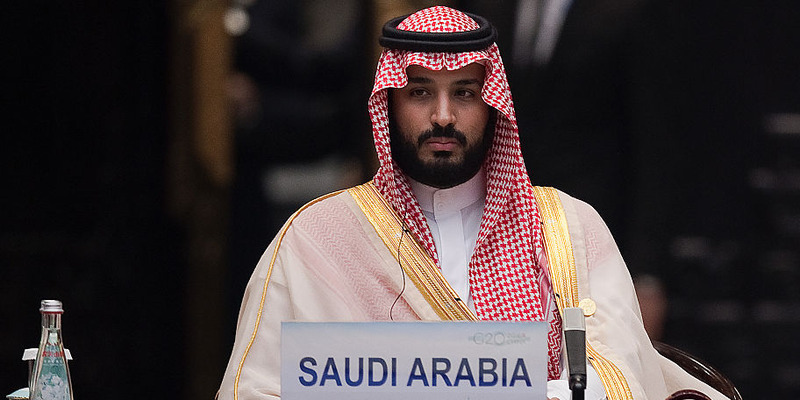 Executives from JP Morgan Chase and Ford Motors have distanced themselves from Saudi Arabia. JP Morgan & Chase Co Chief Executive Jamie Dimon and Ford Motor Co Chairman Bill Ford canceled plans to attend a Saudi investor conference, joining the growing list of individuals and businesses cutting ties with the Kingdom. 7. Thousands of people in Portugal were left without power following a tropical storm carrying winds of up 100 km/h (60 mph).Emergency services also issued flood warnings for the north and northwest of Spain. 8. The bodies of nine climbers who died on a mountain in Nepal have been retrieved. A violent snowstorm destroyed their camp on a Himalayan peak in what is believed to be the worst climbing accident in Nepal in two years. 9. Sears, once America’s most iconic retailer, filed for Chapter 11 bankruptcy. Sears CEO Eddie Lampert previously blamed the company’s decline on the media, shifts in consumer spending, and the rise of e-commerce, among other reasons.